This is a square George Washington Hotel porcelain sign. This particular George Washington Hotel sign features a fancy yellow sign against a blue background with blue text. 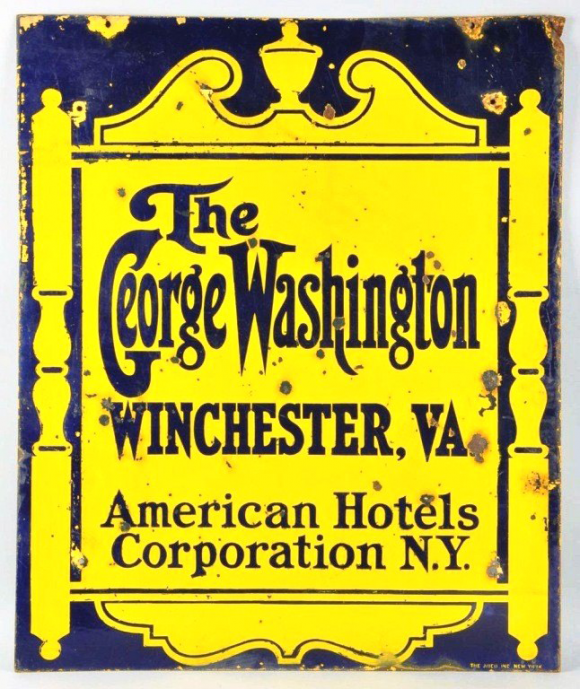 It reads, “The George Washington, Winchester, VA, American Hotels Corporation N.Y.”.